Preheat oven to 350°F. Sift flour, baking powder and salt together in a large bowl. Combine and add grated orange rind and sugar. Combine and add egg, orange juice, milk and melted shortening. Pour the liquid mixture into the bowl. Combine all ingredients with a few swift strokes. Stir lightly until barely blended. Bake the bread in two greased loaf pans about 40-50 minutes or until done. Spring is almost around the corner. With all this snow piled up everywhere, I’m ready for the ground to thaw, the trees to bloom and to start baking breads that are little more, well, cheery. 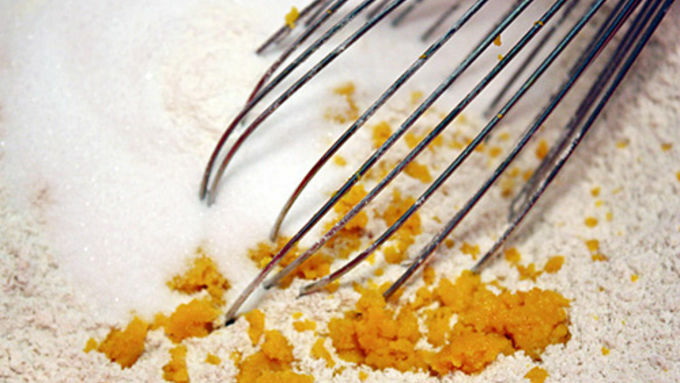 Take this Valencia Orange Quick Bread, for instance. Something about citrusy flavors instantly puts me in a good mood, just like springtime. It’s light, refreshing to eat and seems like the perfect thing to have with iced tea on that first warm, sunny day of the year. This bread is mostly made up of ingredients you have right in your kitchen, making it economical. 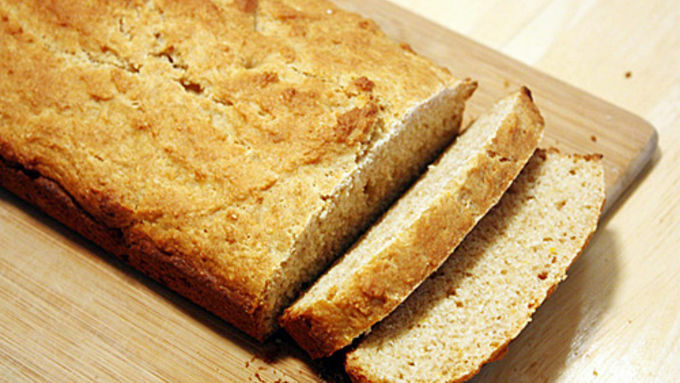 Plus, it’s a quick bread, making it easy. You could improvise a lot with this bread, adding in pistachios with the orange or changing up the citrus altogether – perhaps with lemons and blueberries. Just be sure to keep your customized add-ins light and refreshing, or you’ll lose the whole character of this bread. 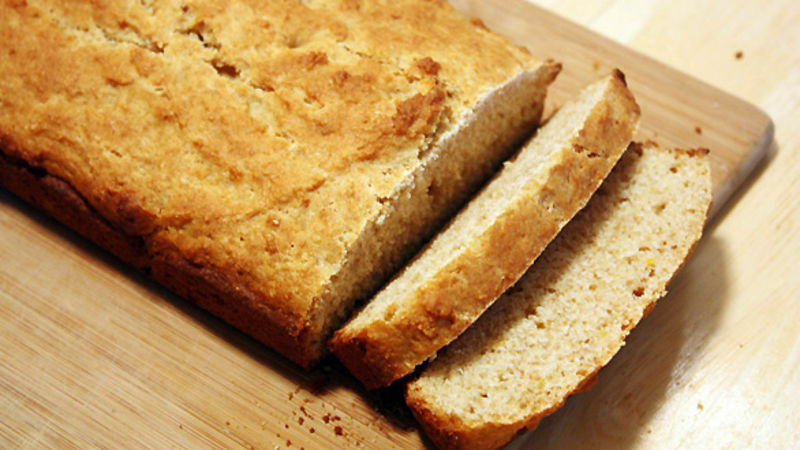 Unlike most quick breads, this one is crumbly and not as dense, though if you add in more sugar you’ll get that cake-like effect, if that’s your thing. Luckily, this recipe is simple enough to make a mistake or two on before you figure out your favorite custom version, though I doubt you’ll mess anything up – quick breads are generous like that. As long as you remember the basic ingredients (eggs, baking powder, salt, flour, etc. ), you can play around with the rest to make your own “cheery” bread. Spring is still a ways off, but who says you can’t bring a little springtime into your kitchen?